The taco and the burrito are both extremely popular food items which originated in Mexico. Though the initial ingredients and methods of preparation have metamorphosed over the years with significant American influence, the basic crux of these items still remain the same. Tortillas, refried beans or meat. Cheese is often added, especially in the U.S. Tortillas, meat, vegetables, cheese. The taco is a more of a traditional and ethnic snack whereas the Burrito is a twentieth century innovation. Essentially, the burrito is never considered to be a light snack. The size of the burrito is much larger than that of a taco. Whereas the former is eaten more as a whole meal, the latter is simply a snack and you need to consume several of them to substitute for full meal. Hence, there is a distinct difference in the size. The wrap: A taco is smaller and trimmer in size, and will have a soft corn tortilla for the wrap. The burrito on the other hand is much thicker and larger; therefore a corn tortilla will not serve the purpose. Corn tortillas are soft and tender and are liable to crack due to chunky double fillings. 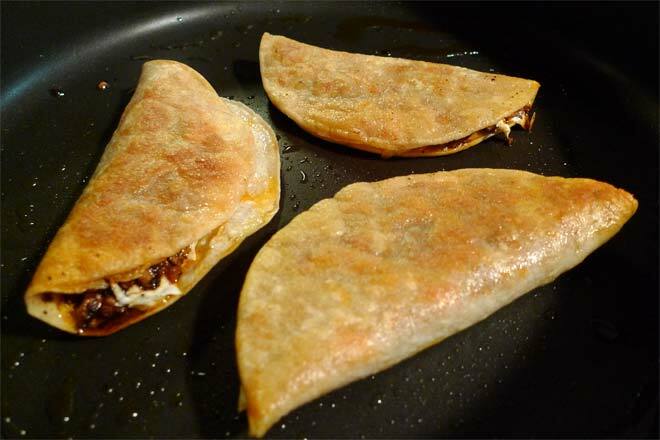 Thick flour made tortillas are used for burrito wraps instead. They are also often flavoured, like tomato, spinach etc. 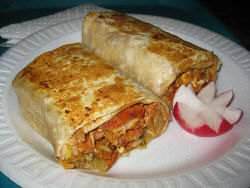 The tortillas in a burrito are often so large that they almost substitute for a plate. The Filling: The filling of both the taco and the burrito are essentially different. Firstly the quantity of stuff that is wrapped differs. The taco is essentially a single filling item making it a truly light snack to munch on. The Burrito is a whole meal supplement and provides huge double fillings massy enough to completely fill up the large wheat tortilla. The ingredients of the filling are also essentially different. 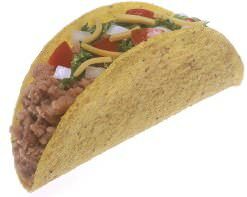 The taco generally has some kind of a meat filling, wrapped up in a warm corn tortilla. There could be pulled pork, or chicken or anything else, but it’s essentially only one kind of meat. 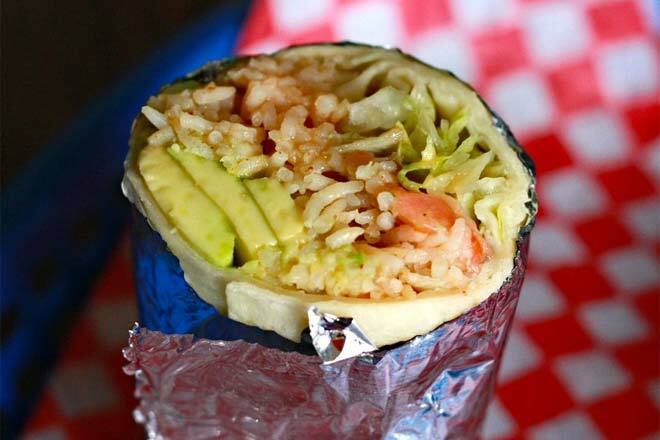 The burrito on the other hand offers a healthy mix; there can be rice, beans, meat, vegetables, cheese, all wrapped up in a huge flour tortilla. The Garnishing: The taco is often garnished with onions, cilantro, salsa, sour cream and other sauces. The burrito has no such apparent garnishing. Though, both the taco and the burrito are similar in the way they are assembled (fillings wrapped in tortillas), the differences are too many for any confusion to arise. You can never mistake one for the other.